Is Oprah Winfrey Network still sweet on the Bordelon family? Has the Queen Sugar TV show been cancelled or renewed for a fourth season on OWN? The television vulture is watching all the latest cancellation and renewal news, so this page is the place to track the status of Queen Sugar, season four. Bookmark it, or subscribe for the latest updates. Remember, the television vulture is watching your shows. Are you? The third season of Queen Sugar on OWN averaged a 0.25 rating in the 18-49 demographic with 1.11 million viewers. Compared to season two, that’s down by 40% in the demo and down by 26% viewers. Learn how Queen Sugar stacks up against the other OWN TV shows. Queen Sugar has been renewed for a fourth season which will debut June 6, 2019. Stay tuned for further updates. 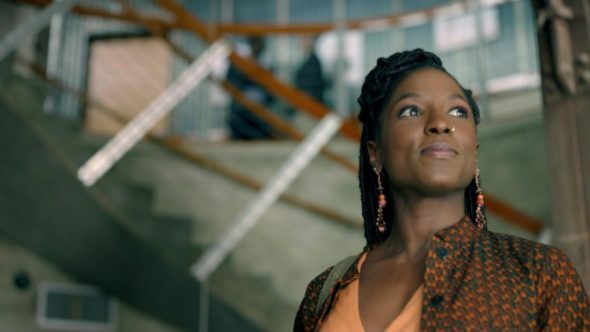 Will OWN cancel or renew Queen Sugar for season four? The ratings are way down year-to-year but the series is still doing pretty well for an OWN series. At this point, I believe Queen Sugar will be renewed. I’ll keep an eye on the Nielsens and update this page with breaking developments. Subscribe for free Queen Sugar cancellation and renewal alerts. 8/8/18 update: OWN has renewed Queen Sugar for a fourth season. Details here. TV show ratings are still important. Follow Queen Sugar‘s weekly ups and downs. What do you think? Are you glad that the Queen Sugar TV show was renewed for a fourth season? How would you feel if OWN had cancelled this TV series, instead? When will the new season begin? Please bring the show back, we love it. I love this show please bring it back! I love this show and just want to know when and if it will be coming back for another season. I love this show also when is this going to air on tv can not wait. I absolutely love this show. I am very happy it was renewed for season 4. When does season 4 start? I think it should be renewed. Great characters and storylines. Would love for the show to be renewed for Season 4 only if the writing and story line gets better. Remy and Nova will get this show cancelled for real.